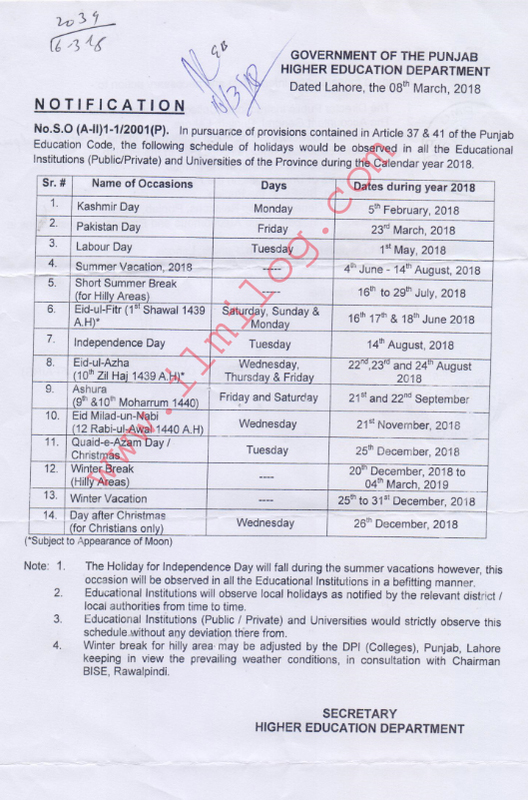 The notification has issued by DIRECTORATE EDUCATION (Secondary) of QUETTA in Balochistan province dated Quetta the 20th November 2018 regarding Annual Public Holidays 2018 with Long Winter Vacations. The Secretary, / Secondary Education Department Government of Balochistan, Quetta. 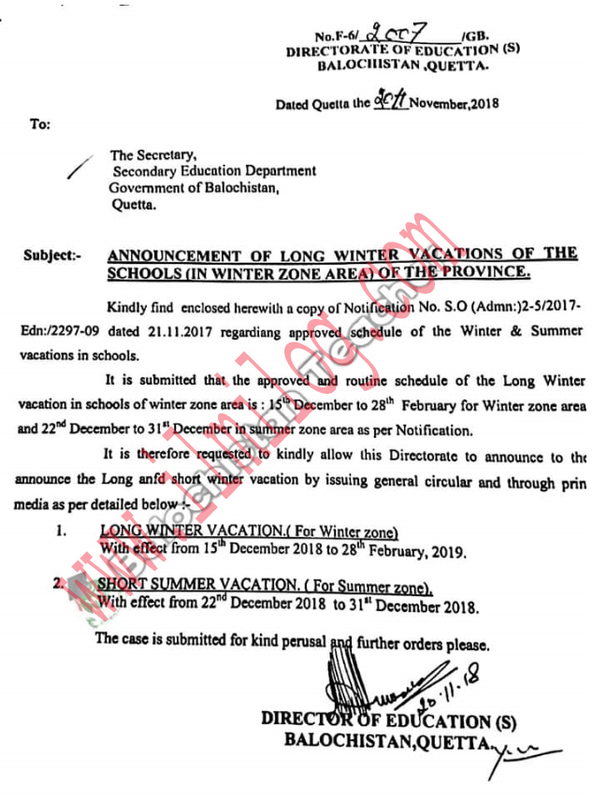 Subject: - ANNOUNCEMENT OF LONG WINTER VACATIONS OF THE SCHOOLS (IN WINTER ZONE AREA) OF THE PROVINCE. 1. LONG WINTER VACATION.) 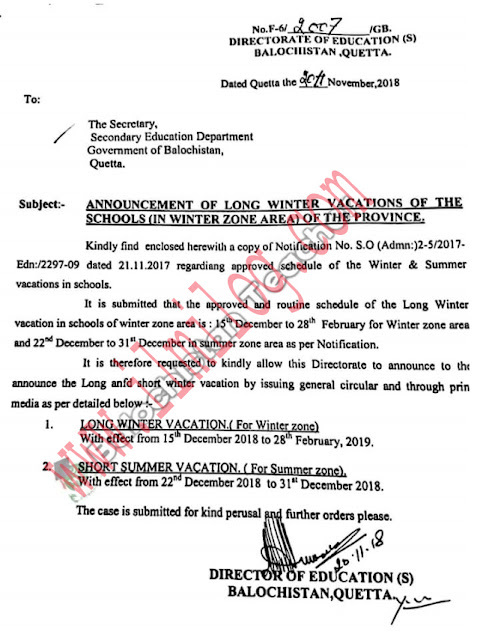 For Winter zone) with effect from 15th December 2018 to 28th February 2019. 2. SHORT SLIMMER VACATION: - w.e.f. 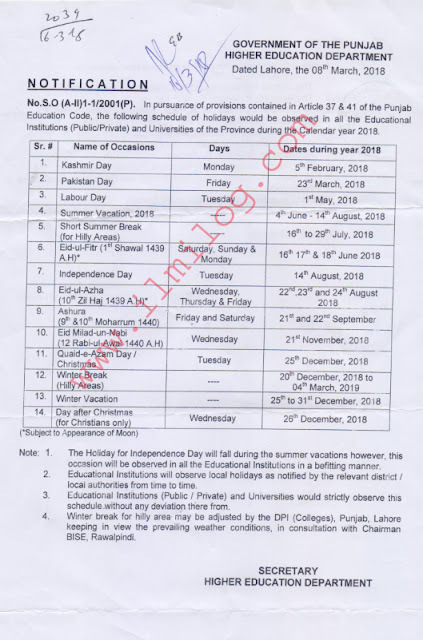 22nd December 2018 to 31st December 2018, For Summer zone area). Director of education (secondary) Balochistan, QUETTA.